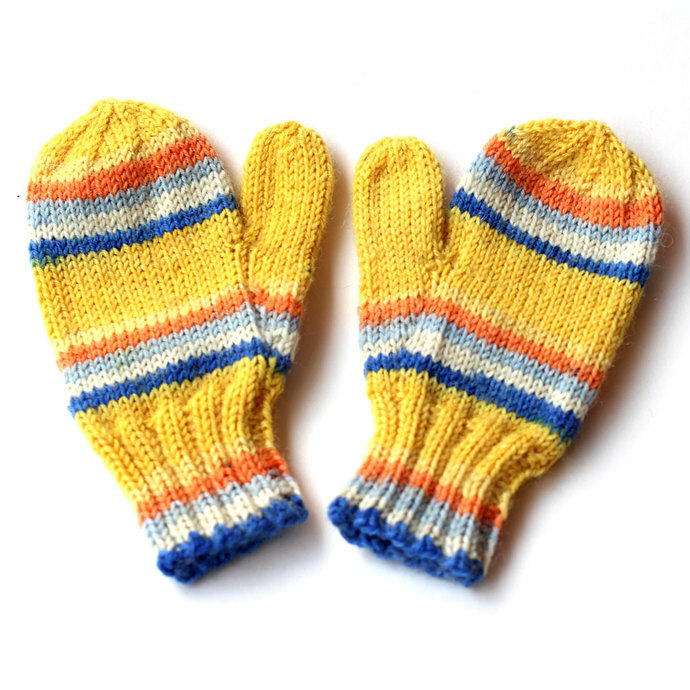 Kid's hand knit mittens with thumbs. 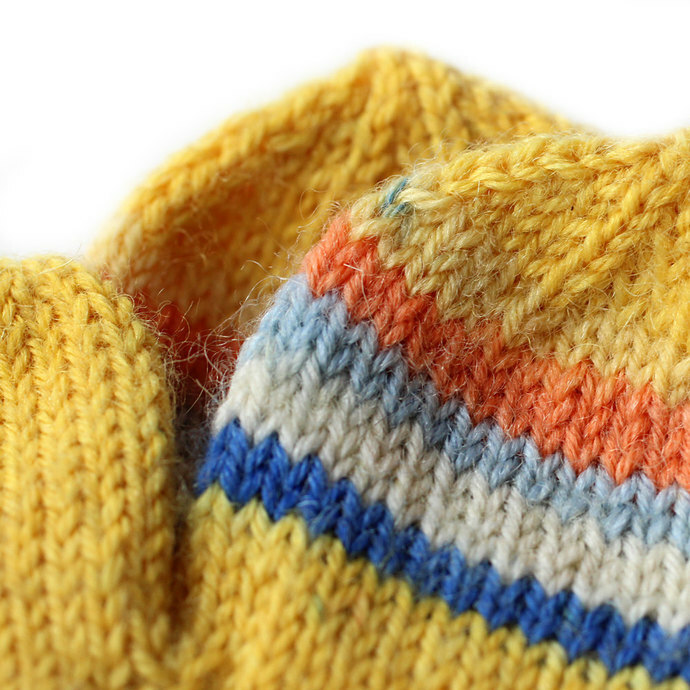 Hand knit in Texas with superfine weight yarn imported from Italy. 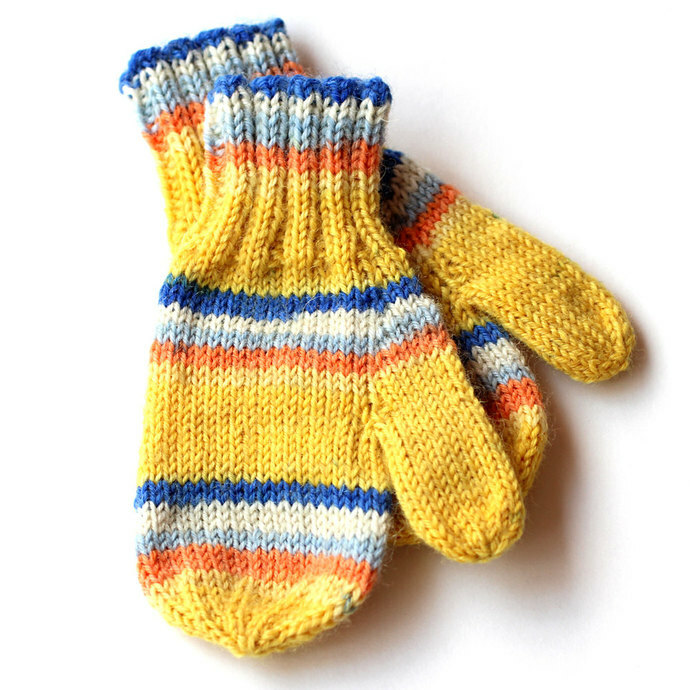 These colorful yellow mittens are hand knit in-the-round (not on a machine) in smooth stockinette stitch with classic shaping and seamless construction. 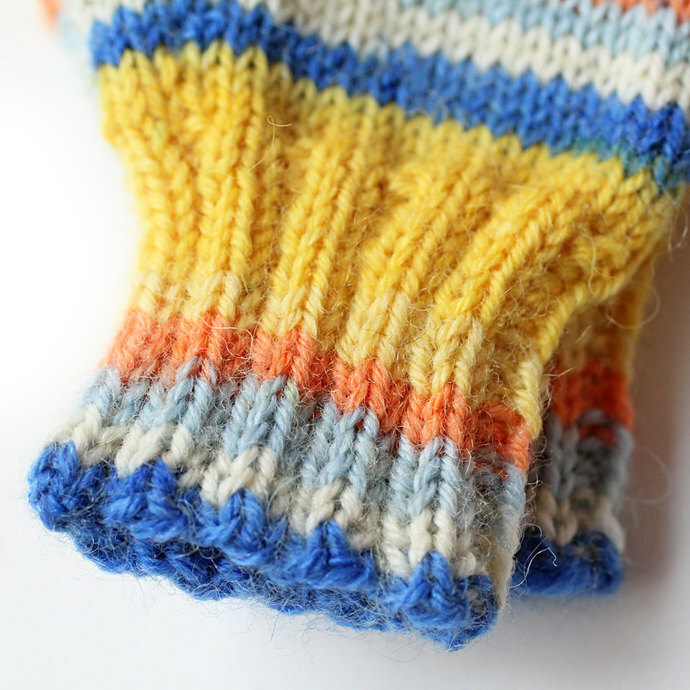 Ribbed cuffs hug the wrist. Available with or without coat cord. Please specify style when ordering. Fiber Content: Top quality, long-wearing, four-ply yarn (imported from Italy) is a blend of 75% superwash virgin wool and 25% nylon. 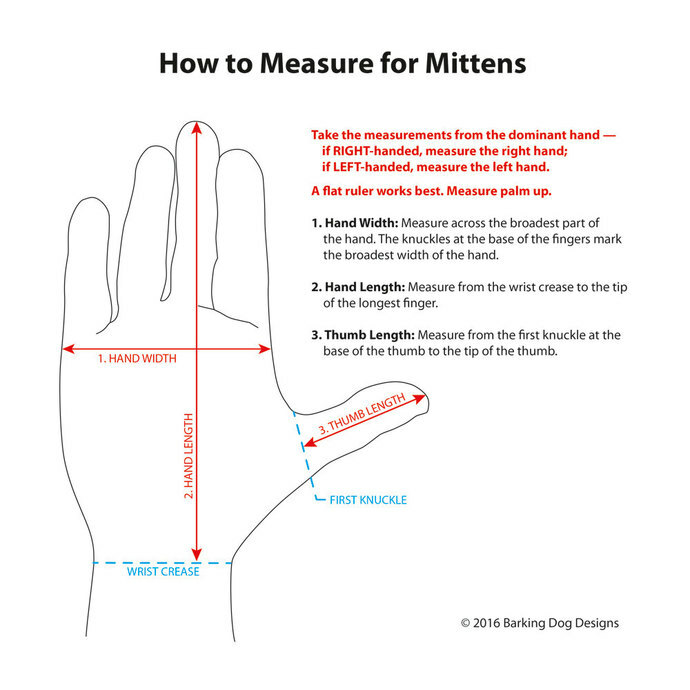 Care Instructions: Hand or machine wash in cold water. Do not wring or twist. Reshape and lay flat to air dry (recommended) or tumble dry on low. (This washable wool blend does not felt.) Do not bleach or iron.